Courtesy of Zeitlin Sothebys International Realty. 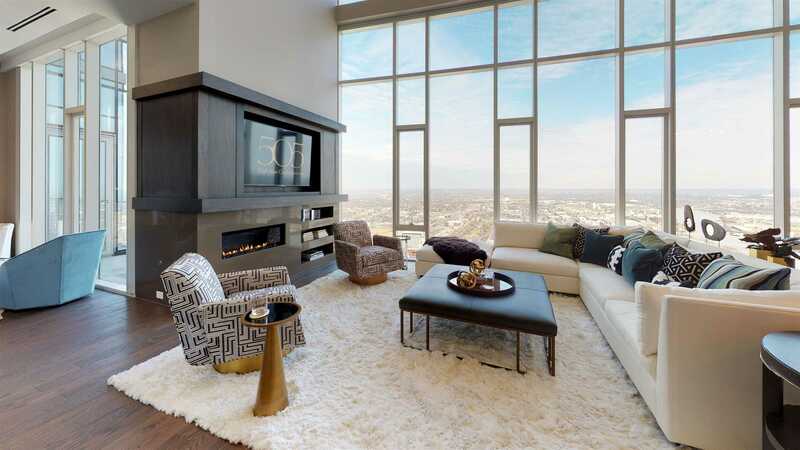 Be one of 4 owners of the exclusive penthouses at the top of the city! In this two-story stunner you won 39;t need artwork – the views are the masterpiece. His n Hers Closets * His n Hers Water Closets * PRIVATE, 6-CAR GARAGE * 24-hr concierge, unmatched amenities, walkable to sports venues, top restaurants & cultural attractions. Please, send me more information on this property: MLS# 1989307 – $5,750,000 – 515 Church Street, #4504, Nashville, TN 37219. I would like to schedule a private showing for this property: MLS# 1989307 – $5,750,000 – 515 Church Street, #4504, Nashville, TN 37219.